As always they are ALL super cute!! Isn't she just the Cutest!! 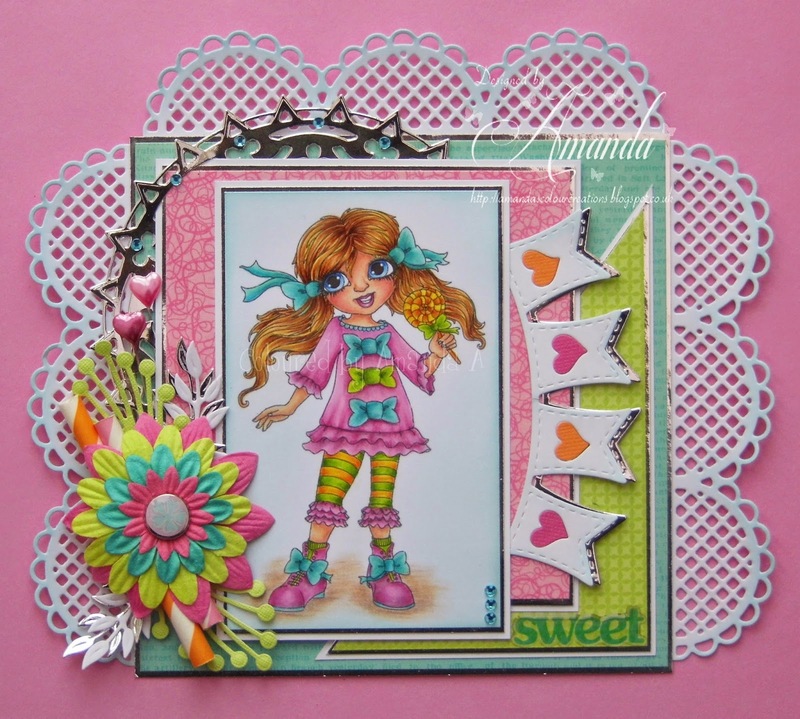 Pop over to That Craft place Blog to see what the rest of the girls have made with the New Images. I just love the bright colors on this!! and all the embellies~Thanks for playing with us at Through the Purple Haze! Thank you for joining my DL.ART Thankful Thursday Anything Goes MARCH Linky Party. Have a blessed day PS I just became your newest follower I hope you will follow me to. Ein tolles Werk. Danke für die Teilnahme bei der Stempelsonne. Love those bright and beautiful colours! Gorgeous card!